In the decades that followed the incidents of 6 December 1992, it has become hard to place the city of Ayodhya. In the history of communal violence in India, has Ayodhya been cause or effect? Photographer Prashant Panjiar would argue that the answer lies somewhere in between. On that fated day, Panjiar, then a senior photojournalist, was on assignment for the India Today magazine. His brief was simple and direct—to stay close to L.K. Advani, the then Bharatiya Janata Party (BJP) president who previously spearheaded the controversial Ram Rath Yatra in 1990. He claims that when the kar sevaks brought down the domes of the Babri Masjid, Advani was standing at a distance, on the dais of the Ram Katha Kunj, from where the leaders were addressing the kar sevaks. And, by default, so was Panjiar. “I photographed the domes as they came crumbling down, but did not go to the site of the demolition itself. I thought no point in going there with a sense of adventure, only to get badly thrashed. Nearly every photojournalist at the site got caught in the mob’s frenzy. My survival instincts took over and I decided to stay nondescript," says Goa-based Panjiar over the phone. The demolition took less than 6 hours. Inevitably in the days that followed, Panjiar was caught in the unbridled violence unleashed by the mob. With about 40 years of experience as a photojournalist, Panjiar occupies a prominent place in the realm of Indian photography. 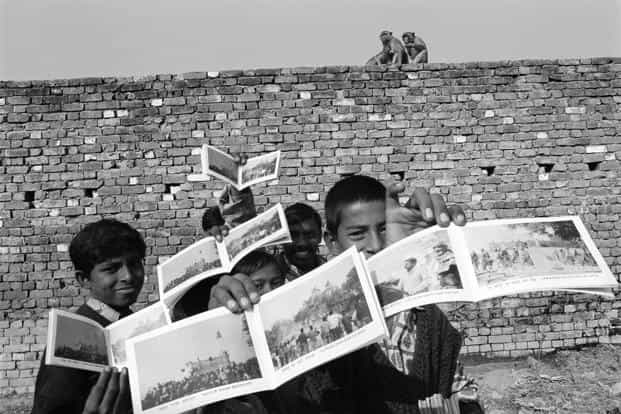 He is the co-founder of the non-profit Nazar Foundation, and the Delhi Photo Festival. He has also been on the jury of important awards, such as World Press Photo. 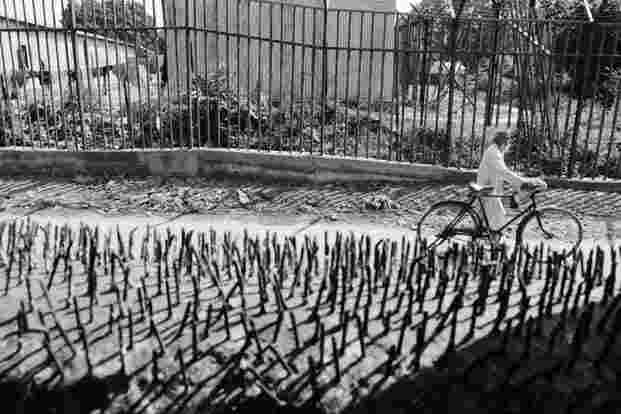 The veteran traces his beginnings back to 1978, when he began photographing the Naxalite movement in Bhojpur, Bihar, and eventually became a photojournalist with the Patriot. His lens has since then been trained on events of social and political import, such as the riots after the assassination of Indira Gandhi, and the dacoits of Chambal. However, the demolition was neither the beginning nor the end of his engagement with Ayodhya. 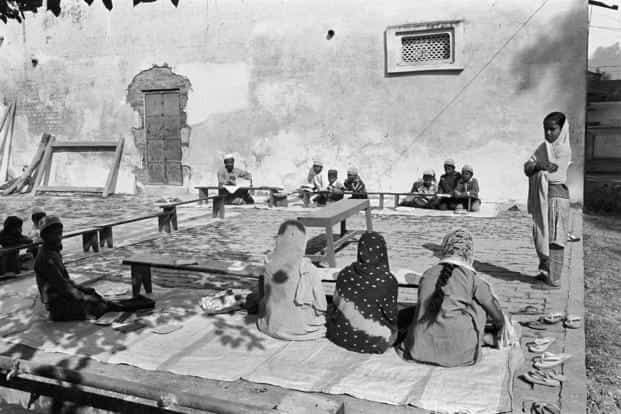 “The demolition and the riots that followed across centres in India were imprinted in my memory. I had been following the Hindutva movement since the mid-1980s, and Ayodhya was part of my travels even then, but I started documenting it more seriously from 2002 onwards," says Panjiar. The city is the subject of an on-going series that will culminate in a photo-book, tentatively scheduled for next year. The first thing that catches your attention about the series is Ayodhya’s character, for it looks nothing like the site largely identified with rallies and agitations by the Sangh Parivar, such as the one held just last week. Through Panjiar’s lens, we are offered a prospect of a sleepy land that comes to life only when the swell of religious festivals takes over. 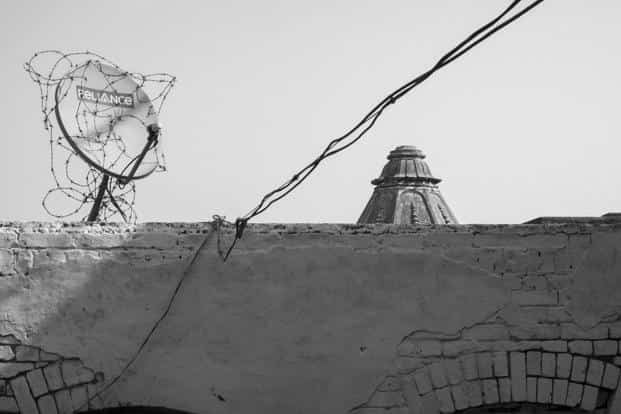 Like any other pilgrim centre, religion is palpable here through visual markers, but the residents, says the photographer, are largely interested in its economy, and are fed up of the politics surrounding Ayodhya. But, things are not what they seem in Ayodhya. Look closely at Panjiar’s series, and you will find a city written over by the Hindutva movement. And, nothing could be more telling than the chant “Ram Ram Sita Ram". 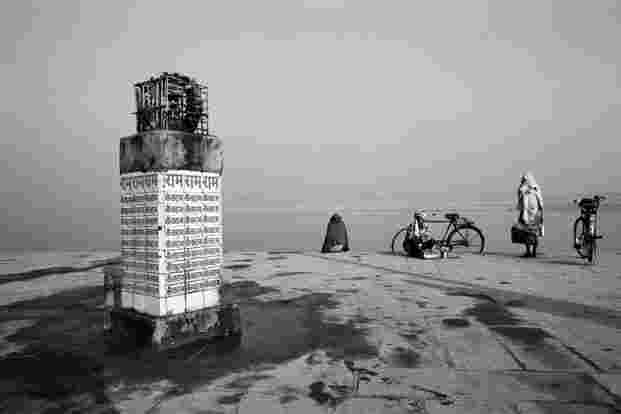 Panjiar draws my attention to a photograph of a pillar by the river Sarayu, on whose banks Ayodhya is situated. The pillar is in two parts—an older base that has the words “Sita Ram" painted, and a new upper portion that has the words “Ram Ram". “The name Ram was always accompanied with the invocation to Sita. There was something benign and feminine about it—you could see it in the older depictions of Ram in Ayodhya, in his facial features and trailing hair. But, increasingly, we see a more heroic, populist version, Jai Shri Ram—the maleness of the idea, a battle cry. The whole language has changed due to the politics around it," says Panjiar. In his travels of 30 years to Ayodhya, the thing that struck Panjiar was that for a town in repose, there was difficulty in negotiating the place. “There were crisscrossing lines everywhere—nails on the compound walls and wires in the sky. It’s not evident, but there was this underlying tension all around," he recalls. The series that Panjiar shared with Lounge hints at Ayodhya’s violent history—barricades, policing, young hawkers holding up the iconic photographs of kar sevaks mounting the domes of Babri Masjid—but never makes it obvious. In the series, the demolition is prominent through its absence—26 years hence, Ayodhya’s terrifying past continues to be invoked in hate politics. 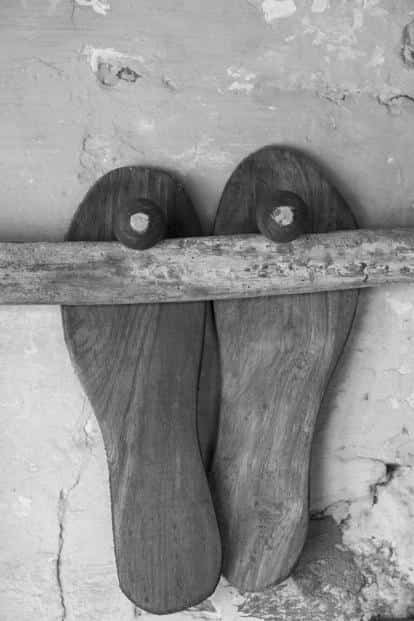 Interestingly, Panjiar refers to a photograph of khadaus or wooden sandals that were worn by sadhus and pilgrims. These, he says, were traditionally fashioned by the Muslim community in Ayodhya. Set in such a contentious site, the series therefore had to be approached with responsibility. “I don’t believe that as a photojournalist I need to be objective but you cannot romanticize this either. Ayodhya is not a part of incredibly exotic India," he says.